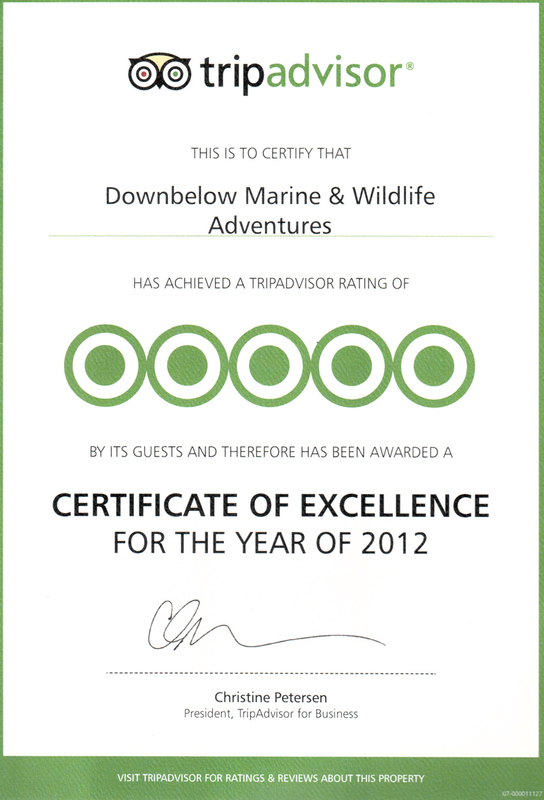 A pleasant surprise arrived in the mail for us today from the purveyors of travel information and travel reviews: TripAdvisor. As the many guests who have been our customers over the years know, we are very active on TripAdvisor and always encourage people, who have experienced our world-class service, to read about and review our business on TripAdvisor. Our MD and resident PADI Course Director Richard Swann keeps a close watch on the review page so that we can improve what needs improving and do more of what people love – it’s a win-win for our customers and ourselves. Thanks to our ongoing efforts to provide the best service and value in Kota Kinabalu to our customers, the 254 reviews (as of this writing) we’ve accumulated over the years have been overwhelmingly positive. Bringing us back to what arrived in the mail from them; a Certificate of Excellence for the Year 2012. 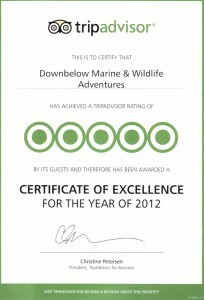 “This is to certify that”, the TripAdvisor certificate proclaims, “Downbelow Marine & Wildlife Adventures has achieved a TripAdvisor rating of 5 Stars by its guests and therefore has been awarded a Certificate of Excellence”. This achievement is validation that we’re on the right track, providing valuable and enjoyable scuba diving and travel products and services to appreciative guests who visit Kota Kinabalu, Sabah.